Formed in 1985, TriStar Ltd. has grown into the leading company for manufacturing and rebuilding of Rotary Vacuum Drum Filters, Belt Filters, Vacuum Belt Filters, and Filter Presses. TriStar rebuilds, refurbishes, and repairs all brands to like-new or upgrade them to better-than-new condition. Rebuilt filters typically cost 60% - 70% of new and delivery times are usually 6-12 weeks. Every remanufactured filter comes with a one year warranty. New and rebuilt filter parts and service are also available. 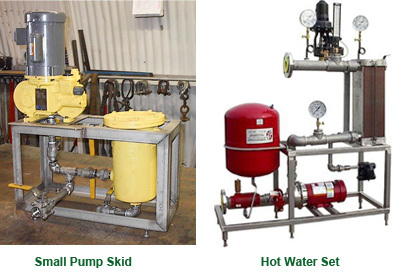 TriStar is also a fabricator of a wide range of process and auxiliary equipment such as Hot Water Sets, Skid Mounted Precoat Systems, Vacuum Pump Skids, Platforms, Metering Pump Skids, Piping Skids, Pump Bases, and Custom Process Skids.